Chale Island is a small romantic island situated 600 meters off the mainland. 10 km south of Diani, 1,2 km long and 0,8 km wide, with a general north/south orientation. The Great Rift Valley is a part of continental fault system that runs 6000km across the Middle East and Africa from Lebanon to Mozambique (part of this passes through Kenya). It contains some of the world’s finest lakes, towering, snow-capped mountains and plains. 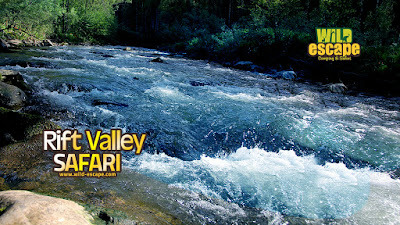 The valley is famous for its breathtaking views and scenery. Some of the world's greatest diversities and concentrations of bird species are recorded within these relatively small lake systems along the lines of Rift valley. The name "Amboseli" comes from a Maasai word meaning "salty dust", and it is one of Kenya's most popular parks the best places in Africa to view large herds of elephants. 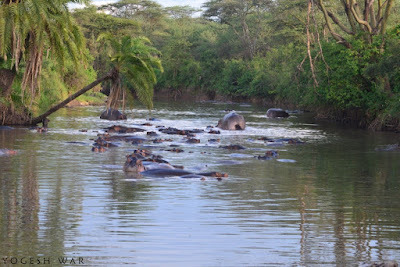 It is located 160 miles from the national capital Nairobi. It is home to several birds around 600 types of species and number of various animals such as Leopard, Wild dogs, Buffalo, Elephant, Giraffe, Zebra, Lion, Crocodile, Mongoose, Hyrax, Dik- dik, Lesser Kudu, and Nocturnal Porcupine. 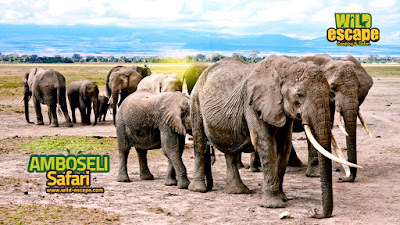 One can explore five different habitats here ranging from the dried-up bed of Lake Amboseli, wetlands with sulphur springs, the savannah and woodlands. The main tourist attraction is the Lake Nakuru, which is famous for large flocks of flamingos and also pelicans. Picturesque wildlife viewing and it is a paradise for the lovers of birdlife (Ornithologists). And also there are white and black Rhinos, Along With Lions, Baboons, Hippos. Its terrain and breathtaking views are never- a-miss activity if you are traveler!